The removal of a man's eye was avoidable after an infection was not spotted early enough, a watchdog found. Eric Stevenson was referred in 2016 to Cumberland Infirmary in Carlisle with impaired vision in his left eye. But the Parliamentary and Health Service Ombudsman said it took too long - four months - to diagnose the cause, which was too late to save the eye. North Cumbria University Hospital Trust said its treatment of Mr Stevenson fell "below acceptable standards". The ombudsman said losing his eye had caused "significant distress" to the victim, leaving him unable to work or drive. 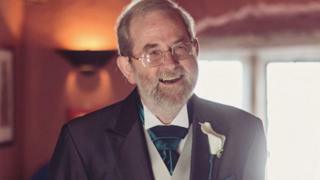 Mr Stevenson, from near Cockermouth, died aged 67 in 2017 of causes unrelated to the eye operation. His wife complained to the ombudsman in 2018 because she felt the trust failed to recognise several mistakes in her husband's care. She said: "Losing his eye had a huge impact on Eric and the last few months we had together before he died. The whole experience wore him down." When he was first referred to the ophthalmology clinic, tests showed the vision in his left eye was impaired. The eye was also inflamed and he was given eye drops, but the problem worsened. A few weeks later, instead of offering him surgery, he was given steroid medication which did not work, the watchdog found. Eventually in January 2017, Mr Stevenson asked to be referred to another trust and it was found the infection was so severe the eye could not be saved. Ombudsman spokesman Rob Behrens said: "The fact that this happened because of failings in NHS care, is inexcusable." Stephen Eames, chief executive for the hospital trust, said: "The care provided to Mrs Stevenson's husband fell below acceptable standards." He said improvements had been made, including making sure patients' histories were available for appointments. It is not clear who carried out Sunday's wave of bombings - the worst since the end of the civil war.